Neck beard! Perhaps a decent pirate name. Not sure that’s what you look for in a starting quarterback. There is no precedent for what the Broncos did this offseason: never before in the history of the NFL has a young quarterback as productive as Jay Cutler been traded. Brett Favre and John Elway were unproven (Elway was a #1 draft pick who held out, Favre was a backup). No position in sports is more important. There is a reason teams are willing to take huge risks and trade up in the draft to pick the guy they think can lead their franchise for a decade. The Broncos had been lucky enough to find such a player, yet traded him before his prime. In return the Broncos got the Bears’ first round picks in 2009 and 2010, as well as a neck beard. According to DVOA, in 2008 the Broncos had the 31st ranked defense, 31st ranked special teams, and the 2nd ranked offense. I don’t care how petulant Cutler had become, trading him was a mistake and new coach Josh McDaniels has a lot to prove. It is an understatement to suggest I am not sold on any of the Broncos’ quarterbacks. QB Kyle “Neck Beard” Orton was pretty good with Chicago last season before he was injured. However, Orton has looked awful in the preseason, and if you ask any Broncos fan about him, I’d expect their answer to include expletives. The Broncos signed QB Chris Simms, who might be able to step in if Orton falters. Simms has not been productive since 2005. Perhaps good health will allow him to reclaim his old form. Rookie QB Tom Brandstater is not ready to start in the NFL and will need to be developed. Over the last decade the Broncos’ running game has been built on an excellent offensive line and interchangeable running backs. This offseason the Broncos signed running backs J.J. Arrington (who has since been cut after failing a physical), LaMont Jordan, and Correll Buckhalter. 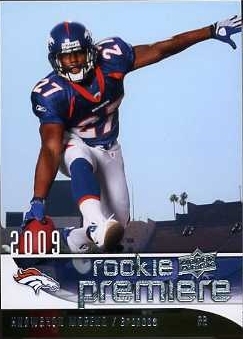 In addition, they drafted Knowshon Moreno with the 14th pick in the draft. Moreno is versatile, as is Buckhalter, and they should be able to give the offense some flexibility. Jordan is more of a physical presence and should help the Broncos move the ball in short yardage situations. Disgruntled wide receiver Brandon Marshall is a wild card. He might be traded over the next few days, he might be suspended for part of the regular season, or he might continue to be the Broncos’ most productive wide receiver. If he is gone, receivers Jabar Gaffney, Brandon Stokley, and Eddie Royal will find it tough to separate from coverage. With Marshall they should be able to find a little more free space, as Marshall will demand attention. Tight end Tony Scheffler might have fewer passes sent his way under McDaniel’s game plans, but he’s been quite effective for the Broncos. Rookie tight end Richard Quinn is expected to be a blocking specialist. The Broncos had one of the best offensive lines in the NFL in 2008. That group should remain one of the best so long as they stay healthy. Left tackle Ryan Clady is the star of the group, but overall the line functions quite well as a unit. Injuries would test the Broncos’ depth, as the backups are inexperienced. The Broncos’ defensive line and linebacker corps are not worthy of too much ink. The most talented players are inside linebacker D.J. Williams and rookie defensive end Robert Ayers. There are concerns about Ayers’s character. Actually, let me say that I was surprised that the Broncos only used one of their ten draft choices on front-seven players. The Broncos will likely be weak against the run while providing little or no pass rush. The one good area of the Broncos’ defense is their secondary, although the starters are fairly old. Cornerback Champ Bailey battled injuries last season but should still be one of the best cornerbacks in football. He’ll be joined by Andre Goodman. Goodman had his best season in 2008 but it might have been a fluke. Rookie cornerback Alphonso Smith has excellent athleticism and coverage skills, but lacks size and might be limited to nickel or #2 cornerback roles. Veteran safeties Brian Dawkins and Renaldo Hill are both on the decline. None of the Broncos’ starting secondary players are under the age of 31. Rookie safety (and converted cornerback) Darcel McBath should see some playing time, particularly if one of the starters becomes ineffective. The Broncos’ special teams were awful last season. They feel the problems were mostly in coverage, and I agree it needed improvement. However, kicker Matt Prater might also prove to be part of the problem. Being a kicker in Denver has some advantages and it will be interesting to see how effective Prater is on the road (and once it turns cold in Denver). The addition of rookie safety David Bruton and defensive lineman Darrell Reid should improve the special teams coverage. The DVOA projections suggest that the Broncos have the toughest schedule in the NFL. The Broncos get to play New England, Pittsburgh, the NFC East, and road games at Baltimore and Indianapolis. They do get four games vs. the Chiefs and Raiders, but Denver also has to face the Chargers twice. This could be an absolutely awful season for the Broncos. I honestly feel I am being charitable in giving the Broncos a 5-11 record. There is a lot of offensive talent and I trust teams with good offensive lines, but the Broncos reek of an incompetence not often seen outside of Oakland or Cincinnati. If nothing else it should be fun to watch whatever happens. Like their division rivals in Denver, the Chiefs experienced a significant upheaval in the offseason. Also like Denver, they looked towards New England for new blood at the top. 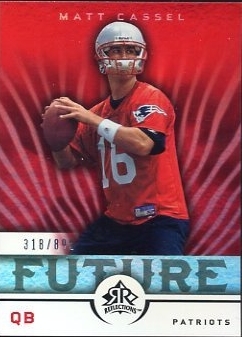 Unlike the Broncos they successfully traded for quarterback Matt Cassel. Cassel is expected to miss the Chiefs’ first game in Baltimore, but should be able to return shortly after that. Without Cassel, quarterbacks Tyler Thigpen, Brodie Croyle, and Matt Gutierrez all inspire similarly small amounts of confidence. Frankly I’m not sold on Cassel either. By the end of the season he looked great for the Patriots, but it is difficult to know how well he will perform outside of New England. Running back Larry Johnson is no longer the monster he was in 2006 (partly because his offensive line isn’t as good as it was back then). Head coach Todd Haley is expected to use a lot of shotgun. That should benefit running back Jamaal Charles. He’s not a large, physical back, but he should work well in space. RB Kolby Smith should also get some carries backing up Johnson. Wide receiver Dwayne Bowe is one of the best young receivers in football, although he does have an occasional problem with drops. I’m not sure how much help he’ll get with tight end Tony Gonzalez now in Atlanta. WR Mark Bradley is decent as a 3rd or 4th option but he’s currently listed as the second starter. Tight end Brad Cottam is not going to replace Tony Gonzalez’s production and will be competing with tight ends Tony Curtis and Sean Ryan for playing time. Left tackle Branden Albert had an excellent rookie season. He plays alongside Pro Bowl guard Brian Waters. Unfortunately for the Chiefs, the rest of the offensive line is questionable. The Chiefs brought in center Eric Ghiaciuc and guard Mike Goff to shore up the line. Right tackle Damion McIntosh is a weak link, although he can provide decent run blocking. The Chiefs’ defensive line is quite young. The move to a 3-4 defense led to the selection of defensive end Tyson Jackson with the 3rd pick in the draft. Joining him will be 3rd round pick defensive tackle Alex Magee and defensive tackles Tank Tyler and Glenn Dorsey (who will play some snaps at defensive end this season). Defensive end Turk McBride will also see significant playing time. There is a ton of talent along the defensive line, although Dorsey was ineffective last season and needs to improve to avoid being labeled a bust. Defensive end Tamba Hali will likely see playing time as a pass-rush linebacker. He has looked excellent in the preseason. Update: Ron Edwards appears to have won the starting nose tackle job, a bad sign for the Chiefs. The Chiefs traded for linebacker Mike Vrabel and he looks to hold down one of the starting outside linebacker jobs. He is a good team leader but his coverage skills have eroded. Linebacker Derrick Johnson is moving from the outside to the inside and should be able to handle the switch. He has been the Chiefs’ most effective linebacker. The Chiefs signed free agent linebacker Corey Mays with the expectation that he would back up Zach Thomas, but it appears he has won the starting job. The Chiefs only had ten sacks last season, a record low. I expect more this season, but even so I have low expectations for the front seven. It is unclear how many of the players fit in well with the new scheme. The defense was awful last year so I’m not sure the Chiefs had much to lose by making the change, but it still will take some time to get the defense up to its peak level. As a general rule I feel sympathy for cornerbacks forced to play behind a defensive line that generates little or no pass rush. Cornerbacks Brandon Flowers and Brandon Carr performed quite well as rookies. Flowers is the more athletically gifted of the two, although Carr is larger and can handle bigger receivers. Free safety Jarrod Page is a solid tackler who has ball hawk skills. Strong safety Bernard Pollard is a bit more inconsistent and could lose his job to Mike Brown. Pollard and Page have been effective in zone coverage. The Chiefs’ special teams should be better in 2009. Punter Dustin Colquitt has been quite good. Kicking was more of a concern so the Chiefs drafted Ryan Succop to challenge Conner Barth. The kick coverage should also be improved as it was an area of concern for the coaching staff. This is clearly a rebuilding year for the Chiefs. I expect to be better than they were last season. That doesn’t say much, and the truth is I don’t expect much from them. 5-11. Denver and Kansas City might have had some front office turmoil this offseason, but there has been stability in Oakland. The Raiders were once a premier NFL franchise. In fact, they played in a Super Bowl seven seasons ago. They lost that game and have been awful ever since. In fact, over the last 5 seasons the Raiders are 20-60. The Raiders proceeded to shock no one when they reached and grabbed wide receiver Darrius Heyward-Bey with the 7th pick in the draft. They then took safety Mike Mitchell in the second round. All I know about Mitchell is that he played at Ohio (not Ohio St.) and had a great workout on pro day. If those are the players the Raiders want, fine, but they could have traded down and still grabbed both. Their third round pick Matt Shaughnessy was expected to be taken on day two of the draft. I wonder if owner Al Davis doesn’t merely want to win, but wants to win by being different. Strategically, his basic offensive philosophy of stretching the field with speed and then running the ball against a spread out defense makes sense. But the execution of this strategy has been awful, both in terms of roster construction and in terms of performance on the field. I was baffled when I discovered the Raiders traded their 2011 1st round pick to the Patriots for defensive end Richard Seymour. Seymour is still a great player, but is 30 years old and is in a contract year. Are the Raiders planning on re-signing him? Are they in win now mode? If so, why? The only reason I can think of is that Al Davis has become impatient. That is unfortunate, because the Raiders have a lot of work to do to become a competitive team. The Raiders won their final two games of the 2008 season, including a win at Tampa Bay. In those games quarterback JaMarcus Russell played well. The Raiders signed quarterback Jeff Garcia in the offseason to put some pressure on Russell, but cut him before the season started. Running back Darren McFadden was hampered by a turf toe injury in 2008 but should be effective this season. RB Justin Fargas did not have great numbers last season, but that was partly due to a lack of other offensive options. RB Michael Bush had a monster game against Tampa Bay and should be an effective short yardage runner. Tight end Zach Miller was the only consistent Raider receiver. Consistent is not a word I would apply to Heyward-Bey, but he is a deep threat and should produce enough big plays to create some room for the other receivers. WR Javon Walker is still recovering from knee surgery. The offensive line has undergone some changes. The Dolphins signed Raiders center Jake Grove, so the Raiders traded a 6th round pick to the Dolphins for center Samson Satele. 2007 3rd round pick Mario Henderson has developed and will start at left tackle. The Raiders signed free agent Khalif Barnes to start at right tackle. Robert Gallery and Cooper Carlisle will remain as the guards. Erik Pears will prove depth. The offensive line looks like it should be pretty good, particularly at run blocking. The Raiders were merely lousy on defense in 2008 (as opposed to being terrible on offense). They had a decent pass rush and Nnamdi Asomugha, the best cornerback in the NFL. What they didn’t have was a run-stuffing lineman. They signed linebacker Greg Ellis (who will move to defensive end) and traded for defensive end Richard Seymour. I’m not certain these moves will solve the problem, although Seymour will make the defense stronger by virtue of adding to the pass rush. Seymour will replace DE Derrick Burgess, who was traded to the Patriots. Cornerback Nnamdi Asomugha is so good that teams generally just avoid him. That means playing across from him is a very tough job. CB DeAngelo Hall failed as the second Raiders cornerback. CB Chris Johnson was up to the task and was given a four-year extension. There is little cornerback depth behind Asomugha and Johnson. Safeties Hiram Eugene, Michael Huff, and Tyvon Branch will all see plenty of playing time. Huff is trying to avoid being labeled a bust. Punter Shane Lechler was fantastic in 2008. Kicker Sebastian Janikowski is mediocre despite formerly having one of the strongest legs in the NFL. The Raiders were lousy on punt returns in 2007 and excellent in 2008. Your guess is as good as mine as to how they’ll be returning punts in 2009. Ditto returning kicks. If the Raiders were coached by anyone I could trust I’d think they could rebound to mediocrity. Tom Cable is just some guy who is willing to work for Al Davis. The addition of Seymour is enough to convince me the Raiders are a hair above the Broncos and Chiefs, so I’ll go with 6-10. Norv is an absolutely awful head coach. The question isn’t if he’ll cost the Chargers their season, the question is when. 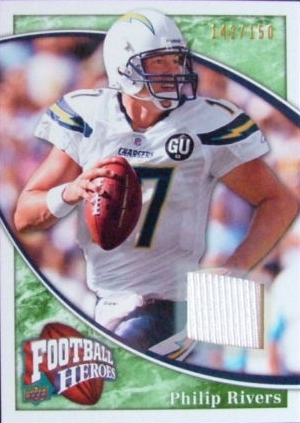 Philip Rivers has become one of the best quarterbacks in the NFL. He quietly threw for over 4,000 yards last season. More importantly, he averaged 7.8 yards-per-attempt. Billy Volek is a capable backup, but the drop off between Rivers and Volek is large. Running back LaDainian Tomlinson is a wild card. Running backs can simply become ineffective with little or no warning. Maybe Tomlinson will bounce back this season now that he is no longer bothered by a turf toe injury. He was once a devastating threat, but my guess is those days are long gone. I expect he’ll be slightly better than last season. RB Darren Sproles is an excellent change of pace back, but cannot be expected to take most of the carries. In fact, it is difficult to imagine Sproles getting more than ten touches a game. If Tomlinson falters, RB Michael Bennett will be asked to step up. Jacob Hester has bulked up to become a fullback. The offensive line had an off year in 2008. Right tackle Jeremy Clary had a fairly awful year but it was his first as a starter and he should improve this season. Left tackle Marcus McNeill has recovered from neck surgery and should be back to his peak level. He was very good before he had to play through injuries. Left guard Kris Dielman was a Pro Bowl selection last year, and along with McNeill, forms a very strong left side of the line. Right guard Mike Goff left in free agency and was replaced by Kynan Forney, although 3rd round pick Louis Vasquez might get the job soon. Vasquez isn’t very mobile, but is wide and strong and could become an excellent run-blocking right guard. Overall the Chargers’ offensive line should be very good, but McNeill’s health and Clary’s development both bear watching. Defensive tackle Jamal Williams is the key to San Diego’s defense. He is a massive run-stuffer who allows his teammates freedom to attack the quarterback. Linebacker Shawne Merriman’s return should bolster the pass rush, as should the additions of 1st round pick outside linebacker Larry English and 4th round pick defensive tackle Vaughn Martin. English is going to require some teaching to refine his techniques. Martin is going to move from tackle to end and will compete with defensive tackle Ryon Bingham to see who will replace departed defensive end Igor Olshansky. Defensive ends Luis Castillo and Jacques Cesaire will also see plenty of playing time. Castillo had an off year in 2008 but should bounce back now that Merriman is back to distract the offense. Losing Williams would be devastating, but there is significant depth on the rest of the line. The Chargers should be able to rotate players along the line to keep them fresh. In addition to Merriman and English, the Chargers have a very talented linebacker corps. Outside linebacker Shaun Phillips is an excellent pass rusher. Inside linebacker Stephen Cooper is the defensive field general and no player outside of Williams is as important to the defense. Free agent acquisition ILB Kevin Dobbins has looked very good in the preseason. On paper the Chargers have an excellent front seven. Of course injuries could change that. Cornerback Antonio Cromartie played through a fractured hip last season and his performance showed it. After an excellent 2007 he was awful in 2008. A return to his 2007 form would give the Chargers an excellent secondary. CB Quentin Jammer is still a solid #2 cornerback. 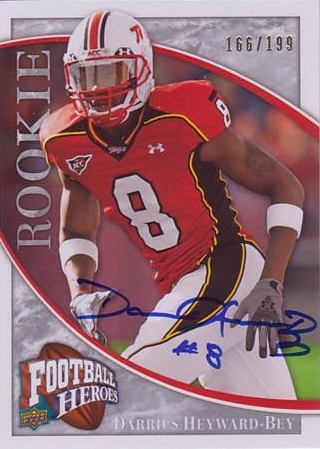 CB Antoine Cason had an excellent rookie season as the nickelback and will eventually replace Jammer or Cromartie in the starting lineup. Free safety Eric Weddle was very good. Strong safety is a bit of a question mark. The incumbent is Clinton Hart but he is competing against cornerback Steve Gregory and rookie safety Kevin Ellison. I’m excited about Ellison’s potential as he was a ferocious hitter at USC. Depending on the role the strong safety is asked to play, all three of them should see some playing time in 2009. Punter Mike Scifres destroyed the Colts in a playoff game. I’ve never seen a punter dominate a game before and don’t expect to see that again any time soon. Overall the Chargers have slightly above average special teams. The Chargers have a lot of “ifs”. Most of them concern players coming back from injuries. In some cases the Chargers have quality depth in case of a relapse, but in other cases the drop off would be noticeable. If the Chargers are blessed with good health, no team is scarier; not even the New England Patriots. However, in addition to injuries, there is the Norv factor. The Chargers are too good for Norv to stop them from winning the division, but the Chargers are not getting to the Super Bowl without facing Pittsburgh or New England. At some point Norv is going to have to out-coach someone who has earned a Super Bowl ring. Do you trust Norv to do that? Neither do I. 12-4.